The new Ford Endeavour Facelift will be launched on the 22nd of this month. The SUV has already started reaching dealerships and bookings for the popular SUV have also commenced. As it is a facelift, the changes made on the car are quite subtle, both on the exterior and the interior. The interiors get some new features while the exteriors also receive a few minor tweaks to enhance the butch look of the SUV. A new light brown colour option will also be on offer with the Endeavour facelift. 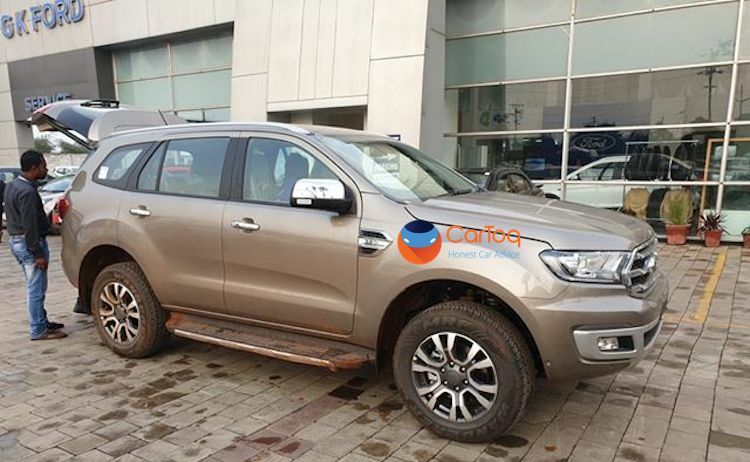 Talking about the changes on the exterior, the new Ford Endeavour gets minute cosmetic changes that are largely limited to the front fascia of the car. The updated SUV gets a revised front grille, revised front and rear bumpers along with new 18-inch alloys. Though the changes are not much, it will help the SUV to stay relevant in the segment where it rivals the likes of Toyota Fortuner and the Mahindra Alturas G4 among others. The interior gets more changes and added features compared to the exteriors. Talking of which, the Ford Endeavour facelift gets features like keyless entry with a push start/stop button, foot-activated power tailgate, powered co-driver seat and a new SYNC3 infotainment system, which is much more advanced than the current version. The new infotainment also gets Android Auto and Apple CarPlay connectivity, making for ease of connectivity with smartphones. Ford’s emergency calling system will also be present as on the ongoing version of the SUV. Another visible change on the interiors is the new beige black upholstery instead of the beige brown upholstery on the current model. Apart from the visual changes and features addition, Ford has also included a lot of safety tech on the new Endeavour. This includes the Autonomous Emergency Braking (AEB) system which applies the brakes automatically upon sensing a possible collision at lower speeds. The SUV will also get the Forward Collision Warning (FCW), which notifies the driver of any possible collision from the front. These features are specially helpful in avoiding accidents whhich happen due to driver negligence or fatigue. As for the engines, the same old set of diesel oil burners will continue to power the new Ford Endeavour. On the current model, the 2.2-litre diesel engine produces a 158 Bhp of power along with 385 Nm of torque and comes mated to an automatic transmission. The bigger 3.2-litre diesel engine churns out 197 Bhp of power and 470 Nm of torque. It is only available in the 4X4 automatic set-up while the smaller 2.2 litre engine comes with 4X2 setup only. Speculations are rife that the company could bring in its new 2.0-litre EcoBlue diesel engine in India as well that will replace the older 2.2 litre diesel option. 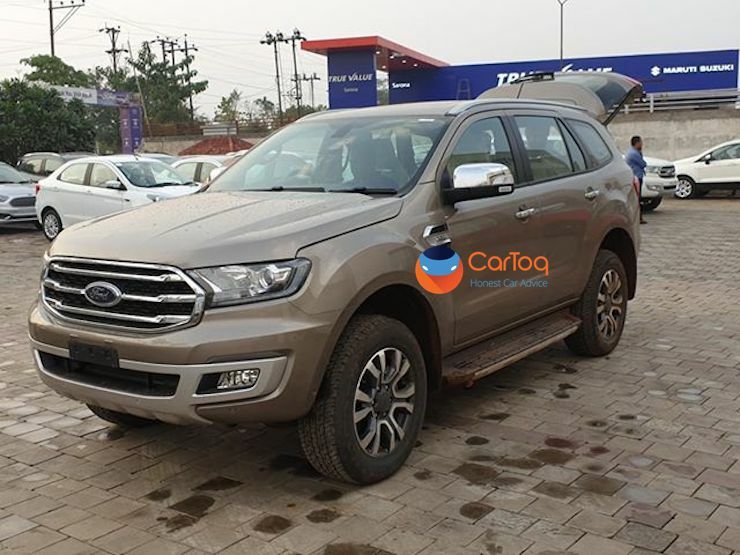 However, going by the timing of the launch, it could be that Ford will make this transition only before from 1st April 2020, which is the date from when BSVI norms will be mandatory. The Thai-spec Endeavour equipped with the EcoBlue engine is offered in two states of tune There is a 180 Bhp – 420 Nm version and a 213 Bhp – 500 Nm version.